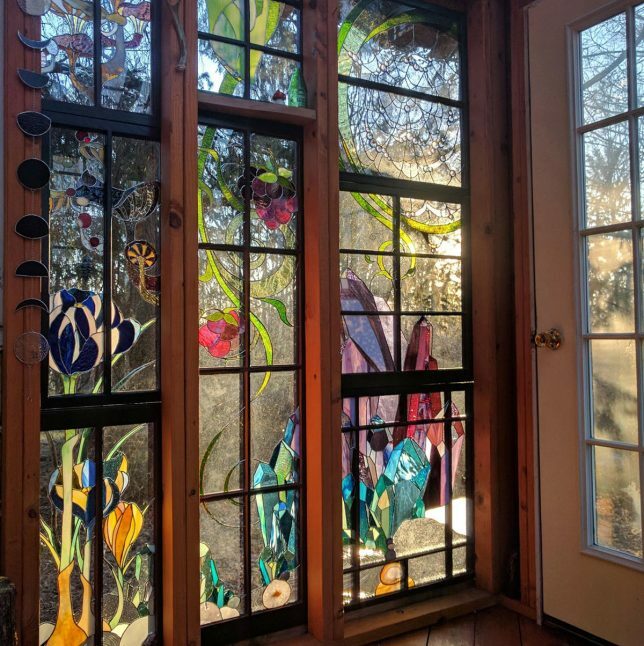 The complete opposite of a minimalist Modernist glass-clad house, this rustic and homey backyard cabin exhibits hand-crafted details, rich dark wood and best of all: a gorgeous array of custom stained glass panels. 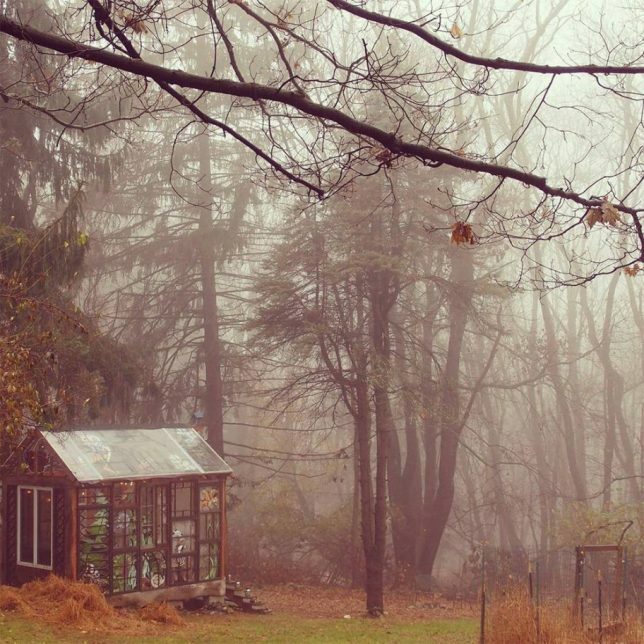 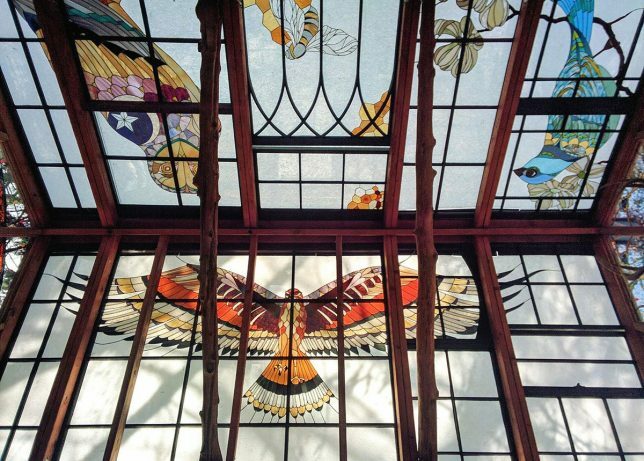 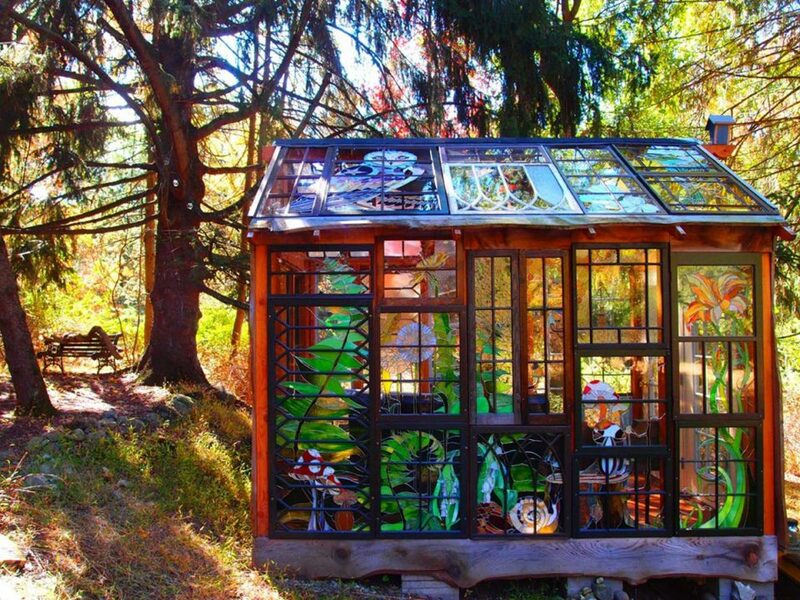 Built behind her home in Mohawk, New Jersey, this wonderful work of micro-architecture was constructed by glass artist and jewelry maker Neile Cooper as a private personal retreat. 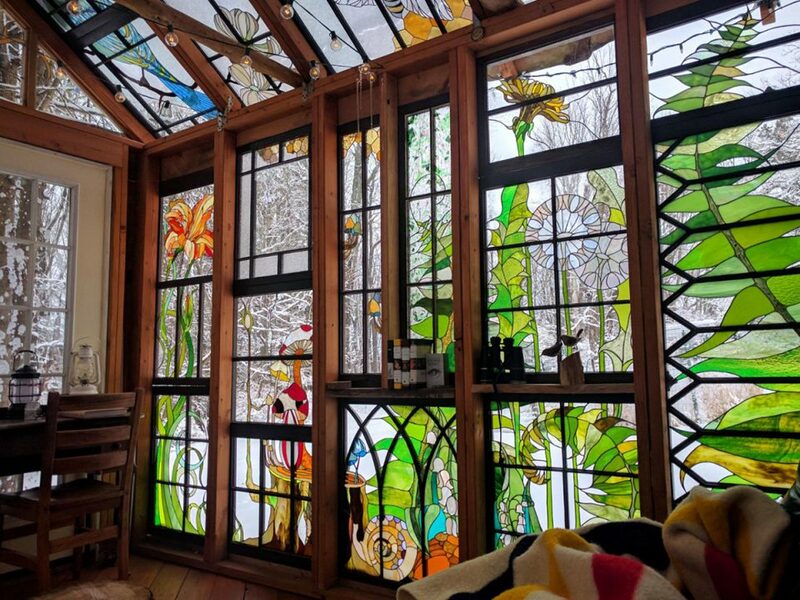 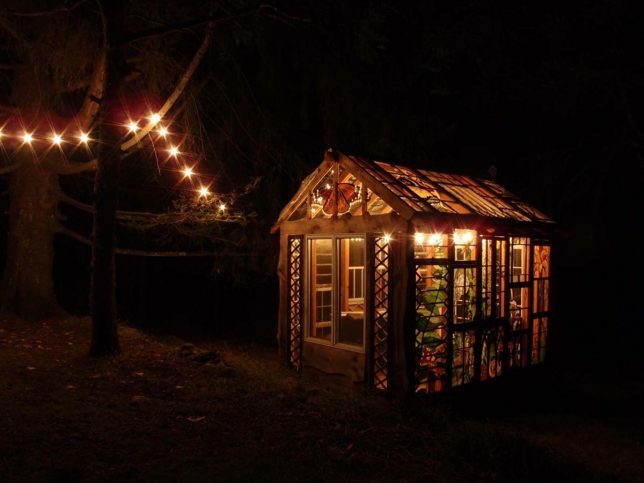 Her Glass cabin is constructed from reused window frames and spare lumber, evidenced by all of the different shapes and sizes that add character and complexity to the structure. 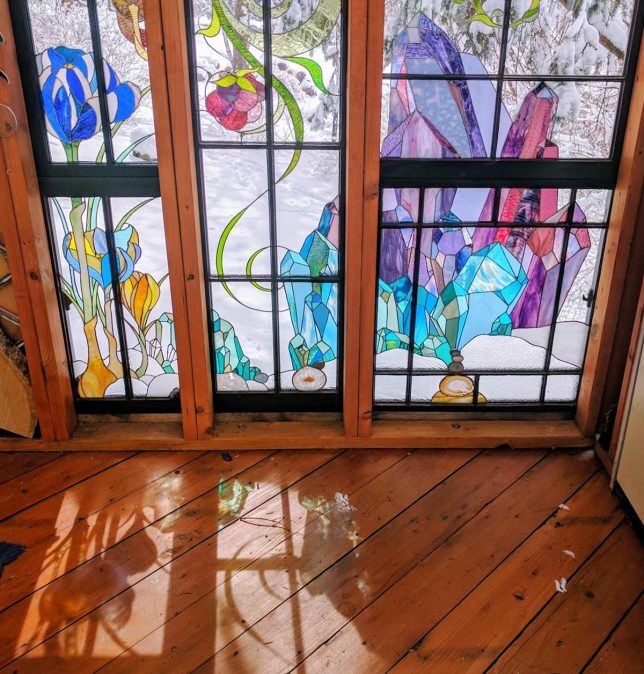 The gaps are filled in not with walls but rather with works of her own art, bringing the entire place to live with flowers, birds, stones, minerals and other natural subject materials. 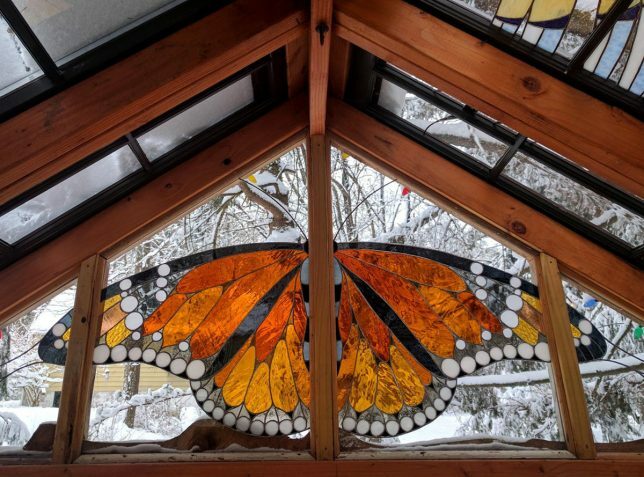 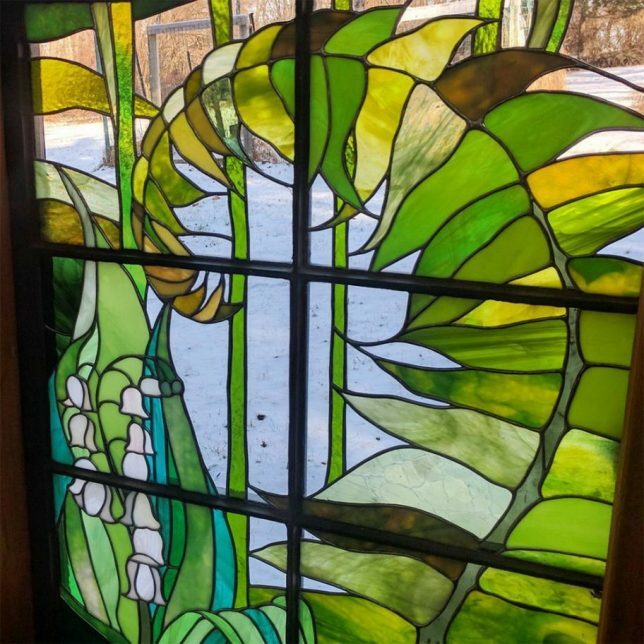 While she is not in the business of building and selling small homes (alas), her jewelry work features similar themes as do many of her other stained glass creations.